Self-builders and roof window installers across Ireland can claim rewards, redeemable at top brand retailers and restaurants, every time they buy any VELUX® roof windows, flat roof windows and sun tunnels in 2017. In the UK the rewards are redeemable at a range of retailers, including M&S, John Lewis, Argos, Pizza Express, Thomas Cook, Curry’s/PC World and Ticketmaster. VELUX intends to expand on this range of partners throughout 2017 to offer customers even more choice of where to spend their rewards. Customers can earn rewards from £3 to £30 per product, with hand-picked partners to suit everyone in the family. Each product needs to be registered within 45 days of purchase. To start gaining rewards, customers simply need to register with VELUX online at www.velux.co.uk/rewards. Using the new VELUX rewards calculator, installers can see exactly how much they will earn for each product they buy. 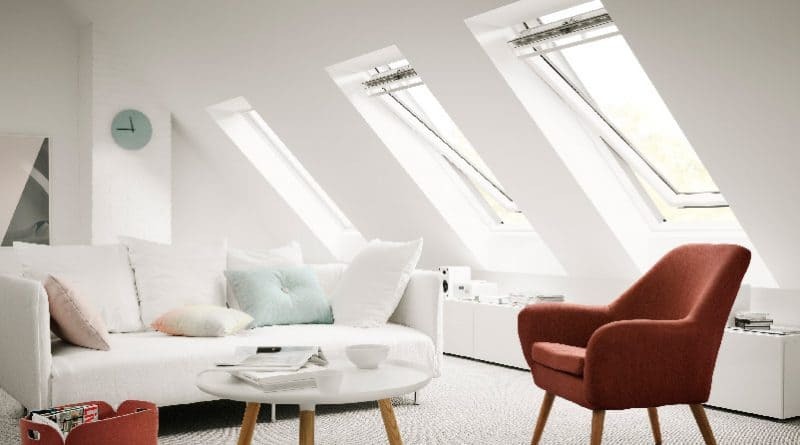 Richard McArthur, Marketing Manager from VELUX said: “We’re urging installers to take advantage of the fantastic rewards available to them when buying from the VELUX range. If you’re regularly buying VELUX products, the rewards can quickly add up. In fact, before you know it, you could have enough to take the family away on holiday. It only takes a couple of minutes to log every purchase from your computer or smartphone, so wherever and whenever you’re buying VELUX products, you’ll always be rewarded.